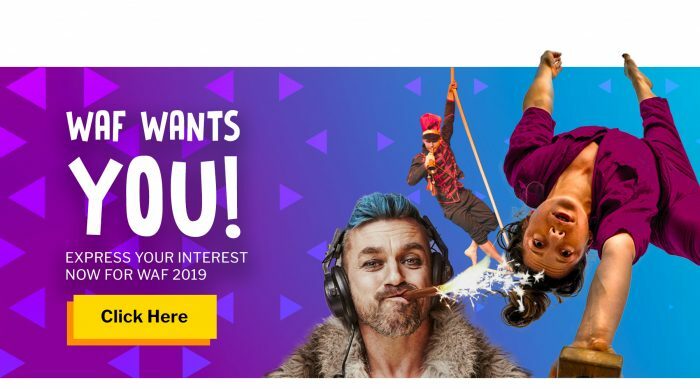 Wandsworth Council’s Wandsworth Arts Fringe (WAF) is celebrating its tenth anniversary in May 2019. We want you to help us make #WAF10 as spectacular as possible! We’re looking for artists, potential venues, schools, and local businesses who want to get involved and join the party. WAF is the perfect opportunity to showcase your talent – whoever you are and whatever you do. Over 700 artists took part in #WAF2018, and 98% of our audiences rated their WAF experience either excellent or good. Whether you’re a community arts group or an international superstar, we pride ourselves on being a testing ground for bold, experimental work that is both hyper local and astonishingly international. WAF attracts artists from the width and breadth of the UK, from across globe, and from down the street – 2018 alone saw performers and exhibitors from as far afield as Malaysia, India, Canada, Australia, Ethiopia and Japan. 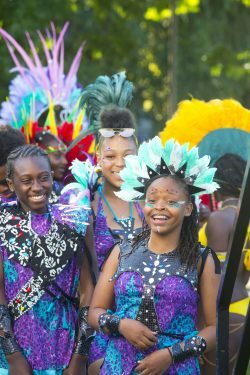 Since it developed out of Wandsworth Arts Festival in 2009, WAF has gone from strength to strength. In 2018 the festival drew more than 20,000 visitors to over 180 events across the borough, from street performances to big art picnics, comedy to circus, odd-bod opera, dance, debates, and everything in between. For the ten-year anniversary, WAF is encouraging you to go big. So, whatever kind of creative practitioner you are, if you want to try out new work, connect with creative networks and be part of something that thrills, moves and inspires audiences from across London, we want to hear from you! Visit wandsworthartsfringe.com now to find out more and to get involved! STEP 2: Find and secure a venue. You will need to confirm a date and time directly with the venue. If you need some help finding a venue, let us know as soon as possible. STEP 3: Pay to register your event. Registrations are open between Monday 3 December 2018 and Friday 1 February 2019. You must register your event/activity online to be part of WAF. As part of the registration process you will be asked to provide date, time, location and pay the fee (early bird £40, closes Thursday 20 December 2018, 12noon and standard £45, closes Friday 1 February 2019). STEP 4: Brochure Copy Deadline. Make sure you upload all the details of your event(s) including a short copy description for the brochure, image(s), ticket prices, and accessibility measures. The copy deadline is Friday 1 February 12pm (midnight). Wandsworth Arts Fringe is brought to you by Wandsworth Council, supporting the arts and culture industries across the borough. Funded by Wandsworth Council with generous contributions from Arts Council England and organised by Enable Leisure and Culture. Part of Wandsworth Council’s arts and culture programme, WAF brings together over 300 creatives in an array of nooks and crannies throughout the borough – some indoor, some outdoor, and some truly unexpected – revealing a Wandsworth you never knew existed. The festival is emphatically inclusive and welcomes participation from artists across all art forms- including street performances, exhibitions, comedy, theatre, music, dance and everything in between. This is your opportunity to try something new, take creative risks, test new ideas and reach new audiences. WAF also offers development support such as professional and peer advice, networking events and marketing.